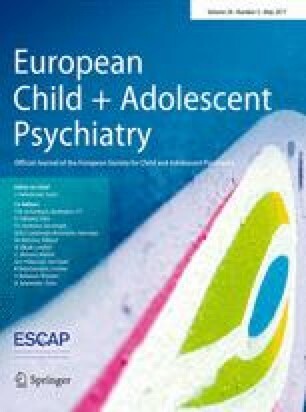 Our objectives were to assess health-related quality of life (HRQoL), anxiety, depression of Gilles de la Tourette syndrome (GTS) adolescents’ parents compared to controls; to assess GTS adolescents’ HRQoL compared to controls; to investigate which parental and adolescent variables are associated with poorer parental HRQoL. The controlled study involved GTS outpatients and their parents, adolescent healthy controls matched for gender and age and their parents. Parents’ HRQoL was assessed using SF-36 and WHOQOL-BREF; anxiety, depression using HADS. Adolescents’ HRQoL was assessed by adolescents using VSP-A instrument and by their parents using VSP-P. A total of 75 GTS adolescents, 75 mothers, 63 fathers were compared to 75 control adolescents, 75 mothers, 62 fathers. GTS mothers had worse HRQoL than controls on 5 of the 8 SF-36 dimensions and 1 of the 4 WHOQOL-BREF dimensions, while GTS fathers had worse HRQoL on 2 of the WHOQOL-BREF dimensions. GTS mothers had poorer HRQoL than fathers. GTS mothers had more depression than control mothers and GTS fathers had more anxiety than control fathers. GTS adolescents had worse HRQoL than controls on 5 of the 9 VSP-A dimensions. Factors significantly related to parental HRQoL were anxiety, depression, GTS adolescents’ HRQoL and, concerning mothers, behavioural and emotional adolescents’ problems; concerning fathers, severity of vocal tics, duration since first symptoms. This study provides a better understanding of poorer HRQoL and psychiatric morbidity of GTS adolescents’ parents. Clinicians should pay attention to their emotional well-being and HRQoL and be aware that mothers and fathers are differently affected. Members of the SYNDROME DE GILLES DE LA TOURETTE Study Group are listed in Acknowledgements section. The authors thank the patients who participated and J. Watts for advice on the English version. Members of the SYNDROME DE GILLES DE LA TOURETTE Study Group: C. Angonin, C. Auclair, E. Deniau, Ph Derost, L. Gerbaud, A. Hartmann, I. Jalenques, G. Legrand, A. Macleod, M. Marcheix, D. Morand, J. Müllner, C. Ramanoel. The authors thank the university hospital of Clermont-Ferrand and the French Association of Gilles de la Tourette Syndrome (AFSGT) for their financial support.